"This is a record of hate far more than of love, and if I come to say anything in favour of Henry and Sarah I can be trusted: I am writing against the bias because it is my professional pride to prefer the near-truth, even to the expression of my near-hate." A year after the end of his life with Sarah Miles, Maurice Bendrix looks back at their relationship - the love, the hate, the jealousy, the others who played a part in their lives. Poor Maurice is a very unhappy man who doesn't seem to have ever been happy. His certainty of the end of his affair with Sarah and his jealousy of her husband, Henry, and any other men that may have come into her life, taint their time together. And there you have it. The book is not long, but that's really all there is to write about the plot of the book. But it says so little about what the book is about. In under 200 pages, Greene explores an entire range of human emotions, creates characters readers will grow to thoroughly know (probably without liking any of them), and most surprisingly, for me, religion. I thought, going in, that this was strictly a love/hate story. That was, after all, what I had taken from having seen the movie. I had no idea that Greene was going to take the reader through the full range of human emotions when it came to God as well. Both Sarah and Maurice must come to terms with their belief (or lack thereof) in a higher being. A being, that, in the end, Maurice comes to be more jealous of than any man. This is a book to make you think. If you are looking for something light, do not pick this one up just because it is thin - it is a much heavier book than it appears. Thanks to all of you who have recommended Greene to me in general, and this book in particular. As I said yesterday, there just wasn't as much reading time this past week as I had hoped for. Thanks to a push last night, though, I did manage to finish a second book yesterday. All told I read for 15 hours for a total of 499 pages. I finished Across The Endless River by Thad Carhart and American Eve: Evelyn Nesbit, Stanford White The Birth of the "It" Girl And The Crime of the Century by Paula Uruburu. Charla of Book Talk with Charla won her choice of books in my mini-challenge for the readathon. She left me a couple of great words she found in her reading including "sesquipedalian" which means given to using long words or containing many syllables. Love it! I had such high hopes this week for getting a lot of reading done. After all, it's usually cold (and often snowy or icy) this time of year and my natural instinct is to burrow in to a corner of the sofa with a warm blanket and a good book. A week or so ago, it seemed like this was the perfect week to participate in a read-a-thon. Then life, once again, intervened. Mini-me got an apartment was was able to move in this week which meant mom, of course, had to drop everything and help pack and move. 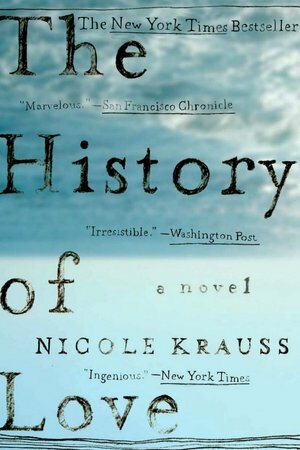 Tuesday night the Omaha Bookworms met to discuss Nicole Krauss' The History of Love. Wednesday evening Mini-him came into town and announced to his astonished parents, as we cleaned up dinner, that we needed to clean ourselves up because we were headed downtown to see Craig Ferguson (of the Late, Late Show on CBS). Finally, it was The Big Guy's birthday yesterday which meant we had to celebrate that all weekend. So it was a fun week but not a good week to get a lot of reading done. Still, I will have finished two books by the end of A Winter's Respite today and gotten a start on a third so I'm feeling good about the read-a-thon. Better yet, I'm feeling like I've gotten my reading mojo back, something I've been missing terribly in the past few months. The History of Love, by the way, was a spectacular bust with the Omaha Bookworms. Three people didn't bother to finish it even and those that did had a hard time with the story line and no connection to the characters. I think I was the only one that found anything to like about it at all. I've got reviews of The End of the Affair and Left Neglected coming up this week and I will, finally, return to Fairy Tale Fridays. This week, Hans Christian Andersen will be making an appearance. 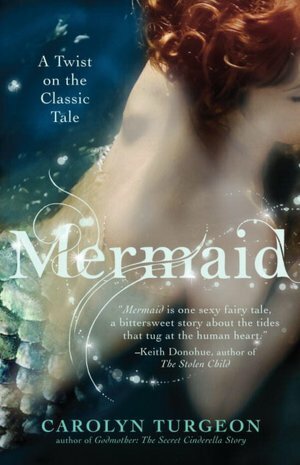 For some reason, one of the songs from Disney's Little Mermaid popped into my head which meant, of course, that I had to read the original story and at least one story inspired by it. It also meant that I'll be starting Carolyn Turgeon's Mermaid today and will also pick a new nonfiction book, although I haven't decided on that one yet. What are you reading this week? Once again, even though I'm not a cat person, my family has provided me with the perfect picture for Cat Thursday. 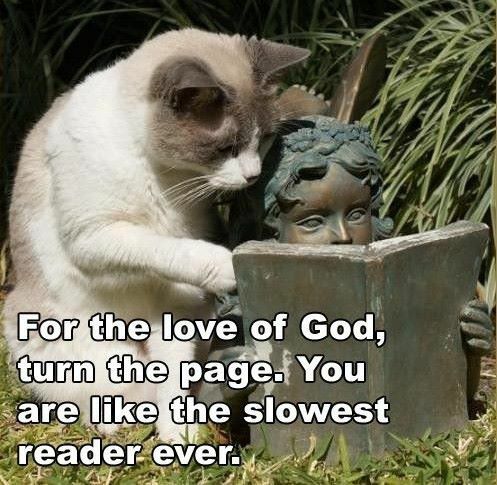 Cat Thursday is hosted by Michelle of The True Book Addict. There are probably very few people left out there who don't know the story of Henrietta Lacks, either from having read the book or from having heard about the book on numerous news sources. 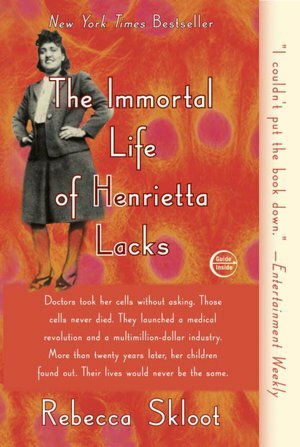 For those of you who may have missed the hubbub surrounding this book, Henrietta Lacks was a poor, black, mother of five who died from cervical cancer in 1951. If that had been all there was to the story, no one except Henrietta's family would probably remember her; her grave is even unmarked. But that is not all there is to Henrietta's story and her legacy, already sixty years in the making, continues to live on because one doctor at Johns Hopkins hospital in Baltimore decided to take a sample of Henrietta's tumor to see if he could grow her cells. Doctors had been trying for years to grow human cells with very little success. So as the technician in the lab prepared the sample, she had little hope to see anything happen. She could not have been more wrong. By the next day, the number of cells in each sample container had doubled and they continued to double on an almost daily basis. Never before had doctors seen anything like it; to this day, nothing on the same scale has ever been replicated. The cells were soon being sent nationwide and, before long, worldwide. In the past sixty years, hundreds of diseases have been studies and hundreds of advances and treatments have been developed using Henrietta's cells. Along the way, many have made a lot of money because of the cells; Henrietta's family is not among them. Her family did not even know until years after her death that the cells had been taken. Once they found out, the emotional impact of her death became many times greater as the family struggled to come to terms with the facts. The Immortal Life of Henrietta Lacks is one of those books that came with extremely high expectations, almost always certain to leave me at least a little disappointed no matter how good the book is. 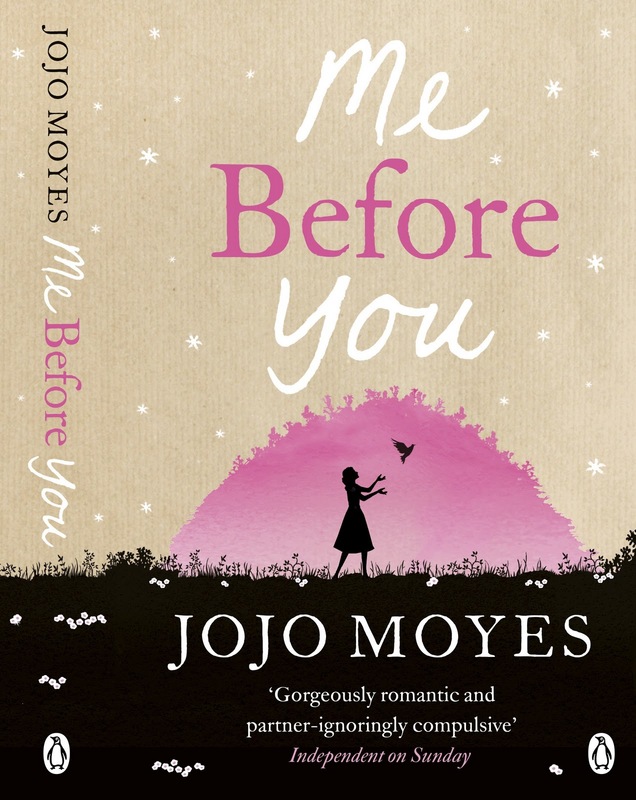 This book was an exception; it is every bit as good as I was hoping. Skloot has crafted an amazing blend of human interest story and scientific lesson book. My heart broke for Henrietta as she died in agony and for her family as they lived in agony. By the time Skloot began looking into the story, the family had become so mistrustful of anyone asking about Henrietta that they refused to speak with her for months and months. Fortunately for us, Skloot refused to give up, eventually earning the trust of Henrietta's children. The book is exceptionally well-researched and Skloot has done a fine job of explaining the science behind the use of the cells in a way that makes sense to the layman. At the same time, she knows how to write a human story that will touch the heart. The Omaha Bookworms are reading this for February and I can't wait to discuss it with them. In addition to the story itself, there is so much to discuss about the ethics of cell research, the way cells are procured, and the money that can be made by research on our cells by corporations and researchers. I highly recommend this book. For those of you participating in A Winter's Respite Read-a-thon, here's a chance for you to add back to your TBR pile just as you thought you were whittling it down! 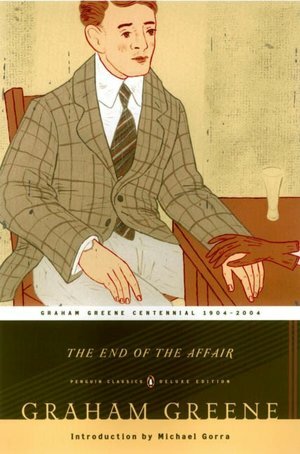 I'm a lover of new words (imagine how excited I was to pick up my slim copy of Graham Greene's The End of the Affair and find that it had more new-to-me words than most books twice a long!). So here's what I want from you: leave me a comment by the end of the read-a-thon on Sunday with at least two new-to-you words and their definitions. My brain will get a chance to work and you'll get a chance to win a new book. The winner will be drawn on Monday, January 30th and will have a choice of books. U.S. residents only (sorry!). Winner will be selected by random.org. 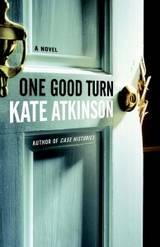 There are 3 books to choose from: One Good Turn by Kate Atkinson, Me Before You by JoJo Moyes, or Sense and Sensibility by Jane Austen. In your comment, please let me know which book you'd like if you are picked as the winner. 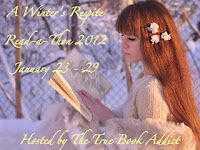 Actually, I started reading for the Winter's Respite Read-a-Thon (hosted by Michelle of The True Book Addict) yesterday but already had a review scheduled so held off until today to do my kick off post. With no football to watch, I figured that there would be lots of reading time for me if I just decided to make it so. But Mini-me had other ideas; he is moving, starting yesterday, into an apartment a few miles from home. Which, of course, means that mom has had to help him back, help get things the guys need for the apartment, and help them move. All of which I love to do but all of which really cuts into my reading time! I'm still bound and determined to finish at least two books this week, the two books that I started last week but which almost completely got set aside when I picked up Left Neglected by Lisa Genova to read at work and which I finished last night. I've got a good start on both of those so finishing them should be no problem. The bigger question will be what to start next and here's where I'm asking for your help. Which of these should I read after I finish Across The Endless River by Thad Carhart? 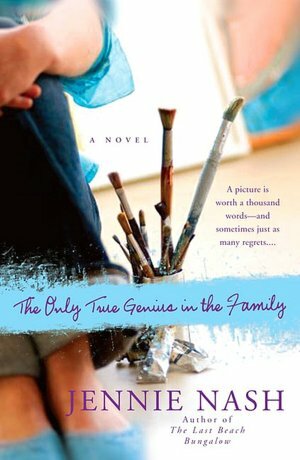 A couple of months ago, I read and reviewed Alexandra Fuller's Cocktail Hour Under The Tree Of Forgetfulness which I really enjoyed and knew my mom would as well. I passed that one along to her and it's been making the rounds since, a unanimous hit amongst every one who has read it. My mom enjoyed it so much that she asked for more books by Fuller for Christmas. Here is her review of Fuller's Scribbling The Cat. 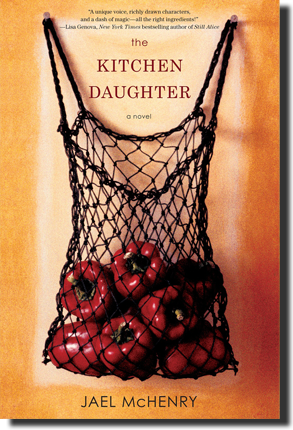 "In Scribbling, Fuller again sets her book in Africa in what was Rhodesia but this time we learn very little of her life with her family. She visits her parents and we again are reacquainted with them but they are secondary to the story. 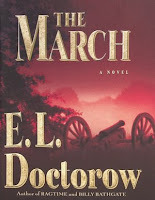 While visiting her parents, Fuller meets and becomes fascinated with a white gentleman who has fought for many years as a soldier in the various wars that have been so prevalent in this region. She spends time with this retired soldier and discovers there is a story to be told. She convinces K (a name she has chosen because she has been very careful to preserve identities and locations to protect her characters) to take a trip with her to trace his war travels and to meet some of his mates from these wars. She finds this very platonic; K who has become a born-again Christian falls in love with her and is sure God has sent her to be his wife. They set off in his truck and the story unfolds as they travel through Mozambique to help him save himself from the war horrors. They meet and spend time with some of his former soldier friends and the characters are delightfully described so you feel as if you have known them forever. These are rough, war-scarred men who have incredible stories to share. Fuller uses many of the African terms to add clarity and realism. Fortunately, she does provide a glossary with definitions. Again Fuller uses her skills as a writer to describe the landscape, the people, and the poverty that all of these wars have caused. I finished the book with a feeling of dismay at what the white people have done to Africa but also with what the black leaders have done as they were thrust into or chose to have power. In the end both Fuller and K have learned a lot about themselves and separate as protagonists. It was probably inevitable. If learning more about Africa and what makes it what it is today is of interest to you, you will love this true story told with a few additions to help protect and to enliven. I highly recommend the book." Thanks, Mom, for another great review! Gilmore Girls Reading Challenge And I May Just Have Signed Up For Another Challenge - Oops! Why yes, yes I did completely fail at this challenge last year - my own challenge. So why am I posting about it? Because many of those who have participated in the past encouraged me to give it another try. So here we go again. I've made some changes (and by changes, I mean I've made it easier!) which I hope will make it more fun (fewer books needed to succeed, more movie adaptations can be substituted). If you're not completely inundated with challenges already, we'd love to have you join us! To sign up, just leave a comment here. This evening I made the terrible mistake of clicking on a post from Michelle of The True Book Addict where she highlighted all of the challenges she's participating in this year. Well of course I found another one I had to do - one that's right up my alley. It's Bex's (of An Armchair By The Sea) The Telling Tales Reading Challenge. And just why couldn't I pass it up? Because it's all about reading/watching fairytales, folktales and myths! Perfect, no?! Just remind me not to click on any more posts in Google Reader that have anything to do with challenges you've signed up for, please. With all of the health complications we've had in my house already this year, I don't foresee us making any big plans for this month. Which means that I'll have plenty of reading time and should finally be able to succeed at a readathon. Michelle, of The True Book Addict, is once again sponsoring the A Winter's Respite Read-A-Thon from January 23rd through January 29th. As with all of Michelle's readathons, this one is relaxed and you can put in as many hours reading during this time as work for you. Novel, novellas, adult and YA books all count for this one. I'm trying to decide if I want to just grab a varied stack of books or if I want to try to go with a theme for this readathon. Since I recently reorganized my bookshelves, I've been thinking of a lot of things I could do with themes so that might be kind of fun. Then again, I might just pick book choices that will all work for challenges to make sure I get a good start on those this year. Ah, the joy of having time to read again! Leo Gursky is just about surviving, tapping his radiator each evening to let his upstairs neighbor know he's still alive. But life wasn't always like this: sixty years ago, in the Polish village where he was born, Leo fell in love and wrote a book. And though Leo doesn't know it, that book survived, inspiring fabulous circumstances, even love. Fourteen-year-old Alma was named after a character in that very book. And although she has her hands full—keeping track of her brother, Bird (who thinks he might be the Messiah), and taking copious notes on How to Survive in the Wild—she undertakes an adventure to find her namesake and save her family. Now, if you just read that, you'd think there were about four characters in this novel and you wouldn't at all understand why I couldn't wrap up this plot in a paragraph. The problem is, there are a lot more characters, many of whom play a part in what has happened to the book Leo wrote as a young man, many more who play a part in who he is as an old man and a number who interact with Alma and Leo. The book also moves back and forth in time and back and forth over the ocean. It did, to be honest, get a little confusing at time and even, in the end, I have to admit that I'm not altogether sure what happened. "The sensation almost knocked the breath out of m. A tingling feeling caught fire in my nerves and spread. The whole thing must have happened in less than thirty seconds. And yet. When it was over, I'd been initiated into the mystery that stands at the beginning of the end of childhood. It was years before I'd spent all the joy and pain born in me in that less than half a minute." ...it's a shame not to have given it my full attention. When this book arrived in the mail, it was immediately grabbed up by The Big Guy, a person who started working on a Master's degree in English Literature before he switched to a more useful degree in business. Now you've got to understand something about The Big Guy and books. He loves them, he really does but he only picks one up to read for short periods at a time and I thought he might never get this one finished in time for me to read it. And he didn't. So while he sits here next to me watching football, I'm going to have him dictate his review of this one. In The Western Lit Survival Kit, Newman does what so many others have been unable to do, she makes reading the "books you really should read" sound like they just might be readable and possibly even fun. Newman takes the reader from Ancient Greece straight through to what she calls The Messy Twentieth. 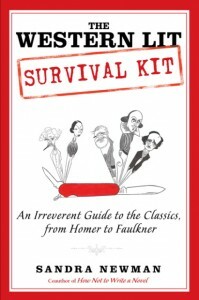 In the process, Newman educates the reader as to the most notable books and authors of each period, never forgetting to keep the reader entertained. "Most of what you need to know about Greek lyric poets is Sappho...In a time when women were still acceptable birthday presents, Sappho's status was unprecedented." Newman also gives a brief introduction to each time period and often compares that period to current times to make the reader better understand the atmosphere in which the authors were working. Perhaps the greatest asset of the book, for the reader trying to decide whether or not to tackle a particular work, are the graphs that Newman includes for each book that she references. Each book is graded on a scale of one to ten on three counts: importance, difficulty and fun. If you are, for example, looking to tackle something that's truly considered an important work and which you are willing to read regardless of difficulty or the fun it might offer, you might try John Milton's Paradise Lost. But if you'd like to pick up something that is both important and fun, then you could look to Shakespeare's Othello. Want something that's both important and fun but not as difficult as Othello? You might pick up Emily Dickinson's poems or Mark Twain's Adventures of Huckleberry Finn. And when you look up that last book, you can also find that Newman compared Twain to Jon Stewart and that Ernest Hemingway was often cited as saying that "all modern American literature comes from Huckleberry Finn." The Big Guy says that Newman is very bright, very witty and very educated. The reader should have at least a moderate level of literary education to catch all of Newman's witticisms. The information is presented in an entertaining way that gives the reader the key points that he/she needs to know about the book as well as giving an insider's perspective. Unlike so many books these days, The Big Guy says this is one book that is "as advertised." Neither of us keeps many books but he says that this one is a keeper as an excellent reference as each of us tries to work our way through the "books we really must read" and to help us decide which ones we really do want to tackle. Thanks to TLC Book Tours for allowing us to be on the tour for this exceptional book. and thanks to The Big Guy for sharing his thoughts! For more opinions on this book, please check out the full tour. 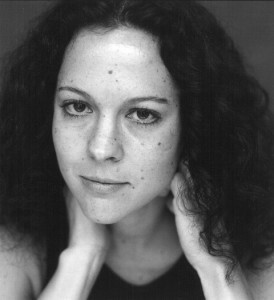 Sandra Newman is the author of several novels, a memoir and two other non-fiction works. Still on the mend this past week so I've been doing quite a bit of reading and quite a lot of time on the net but haven't managed to post anything since last Monday. One of these days, I'll get fully back on track. I've got a couple of reviews that will post this week (one for Nicole Krauss' The History of Love which the Omaha Bookworms will be discussing on Tuesday and one for a TLC Book Tour which The Big Guy is reviewing) and a couple for next week Now I just need to find the time to read some myths and fairy tales and I'll be good to go. Just after Christmas I picked up a couple of new books, a Hans Christian Anderson compilation and an edition of The Thousand and One Nights. I'm looking forward to sharing both of those with you. This past week I had two books going at once, a fiction and non-fiction, and really enjoyed mixing that up so I'm trying it again this week. Yesterday I started American Eve by Paula Uruburu for my non-fiction and today I started Across The Endless River by Thad Carhart. Not only am I getting books read that are already on my shelves but American Eve satisfies my goal to read more non-fiction and Across The Endless River will work for the Historical Fiction challenge so I'm pretty pleased with myself. I start my new job tomorrow and, just between you and me, one of the things I'm most looking forward to is lunch time. Not so much because I want to eat (although after three months of not having time for lunch, I'm looking forward to that meal again! 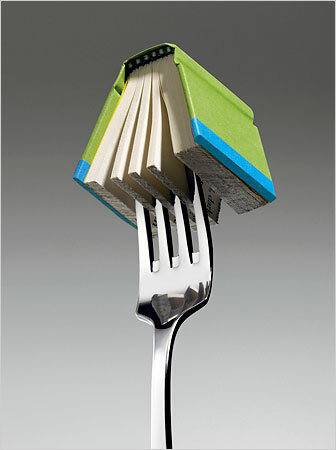 ), but because it will give me 45 minutes every day to read. Oh sure, I suppose I could use the time to socialize and get to know my new co-workers but you know I would much rather be reading! What are you reading this week? Do you ever have multiple books going at once? In 1864, General William Tecumseh Sherman and his sixty thousand troops have just marched into Georgia and burned Atlanta. Now they are making their way to the coast and then up into the Carolinas as Sherman attempts to finish off the Confederacy. Along the way, the troops will pick up thousands of freed slaves and refugees and the march will become something much more than just a military maneuver, it will become a study in humanity...and inhumanity. Emily Thompson's father succumbs to death just as Sherman's troops storm through her town. When she goes in search of the doctor, she finds, instead, Wrede Sartorius, Union surgeon. Emily is so taken by Sartorius' gentlemanly ways and handling of the surgery that she makes the decisions, as the troops pull out, to follow along and help with the wounded and dying. Pearl, a freed slave and daughter of her master, is nearly white and captures the hearts of one Union soldier after another. In this way, she is not only kept safe but finds herself also at work in Wrede Sartorius's unit. Her sole goal is to deliver a letter to the family of the soldier who first saved her. Wrede Sartorius, the doctor who at first appeared to be so kindhearted, is first and foremost, a physician interested in advancing science even when it means that one man will ride with the troops for days with a spike sticking from his head so that the doctor could observe the decline of the patient for himself. Arly and Will are Southern soldiers who find themselves in prison together early on, only to be liberated when they promise to fight to save a city. But Arly is always looking for the way to save his own skin and the two almost immediately desert, finding themselves on the Union side of the line. Doctorow has a way of telling a sweeping saga at an intimate level that is almost unparalleled in storytelling. In The March is also able to make the reader see both the good and the bad in the actions of both sides of the conflict. More than once, I found myself hoping that the Union soldiers would "get theirs." 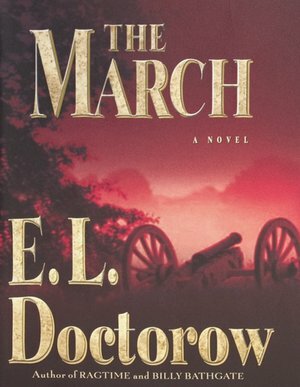 As I did with Doctorow's Ragtime, I learned a lot from this book because Doctorow is also incomparable at mixing historical figures and actions in his fiction. My one complaint with this book was that I spent most of it expecting the same kind of drawing together of storylines that I had so enjoyed in Ragtime which did not happen. Instead, some of the stories wrapped up early, some of them just ended; only a couple wound their way through the entire book. Which is probably more realistic, just not what I was expecting. So many people have cited this book as one of their all-time favorites and my expectations were high. While this, the last book I read in 2011, was one of my favorite books of the year, it still did not come close to captivating me in the way that Ragtime did. A return to normal is on my horizon! I've accepted a new position which I'll be starting shortly and can't wait to have time to make meals, be with my family, read, blog...heck, I'm even looking forward to having time to clean again! Of course, as everything as worked out for me in the past few months, first there had to be a hurdle to overcome. I ended up in the emergency room in the early hours of New Year's Eve and started the new year with not one but two surgeries in one week, one to have my gallbladder removed. What a terrible way to start the year but I'm looking forward to feeling better than I have in a long time! While I recover, I'm taking advantage of the time to read! We don't go to many movies so I finally got around to watching Water For Elephants this past weekend which I really enjoyed. I felt like the movie makers had done a fine job of recreating the setting and mood of the book and retained enough of "old" Jacob's story to make you understand why he wanted to run away with the circus again. The weekend before we had watched both of the last two Harry Potter movies. I've only read one of the books so I can't say whether or not the movies live up to the book but we all enjoyed the movies. The Girl With The Dragon Tattoo was a hit with my family members who made it to the theater but the movie adaptation I'm looking forward to, We Need To Talk About Kevin, still hasn't made it here. It's one that I think I'll probably make a point to see in the theater. 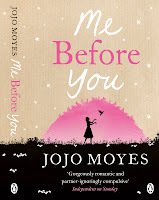 Have you seen any of the movie adaptations of books that have been released recently, either in the theater or on DVD? I know what you're thinking: "why does she keep signing up for challenges when every year she fails at so many of them or is racing at the end to try to finish them?" It's kind of like saying, every year on January 1st, I suppose, that I'm going to start exercising regularly this year. Every new year brings new hope - hope that I really will find a way to balance all of the things that I want to do, hope that I really will find the willpower to make myself do the things that are good for me, hope that, this year, everything will work out just the way it should. So, yes, yes I am signing up for a few challenges again this year but once again with the full knowledge that I will not beat myself up if I find, in November, that there is no way I'll get through everything. First up, I'm once again joining the War Through The Generations Reading Challenge. This year's focus will be on World War I. I'm only going in to this one at the "Dip" level (1-3 books), largely because I'm going to try to read mostly from my own books for the challenge and I'm not sure how many books I have that have this war as a theme. 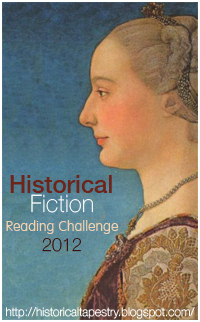 Here's one I actually succeeded at in 2011, the Historical Fiction Reading Challenge. Once again, I'm in at the Struggling Addiction level, which means that I'm shooting for ten historical fiction novels in 2012. In theory, this one should be a piece of cake for me given my love of history. We'll see! My biggest challenge failure in 2011 was with my own Gilmore Girls Reading Challenge. Not only did I not read a single book for it, I completely failed to add a single post or review to the site the entire year. Surprisingly, there are still people interested in jumping on board and giving it another go in 2012. So, once again, I'm hosting the Gilmore Girls Reading Challenge. Must get that list out and see what movies/books I can knock out this year. Charles Dickens, you will not scare me off again! 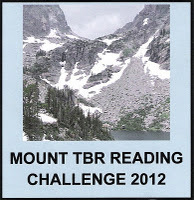 Last, but certainly not least, is the Mount TBR Reading Challenge which I previously announced. Getting through the rest of the challenges will definitely help with this one. Maybe if I can do really well with this one, there will be enough room on my bookshelves to justify asking for books for Christmas in 2012! That's it for me - for now at least! Unless you've found one that I really must join. What challenges are you joining this year?